Blowing Rock Frameworks & Gallery has been framing and selling fine art in the High Country for over two decades. The gallery displays many well-known prominent artists of the area like Jason Drake, Wes Waugh, and Lita Gatlin. New additions to the gallery include wildlife artist Karla Mann, and plein air artists Kyle Buckland and Robin Wellner. Blowing Rock Frameworks & Gallery also displays and sells many antique paintings including the work of renowned Blowing Rock artist, Elliott Daingerfield. Although the gallery specializes in original landscape and wildlife paintings, they carry a few abstract artists like Raymond Chorneau and Wiili, a local folk artist. Blowing Rock Frameworks & Gallery can help you with any of your framing needs including shadow boxes, specialty framing, custom mats, French lines, and much more! Please visit the gallery anytime Monday through Saturday, 9am to 5pm and contact them via phone with any questions, concerns, or special requests. 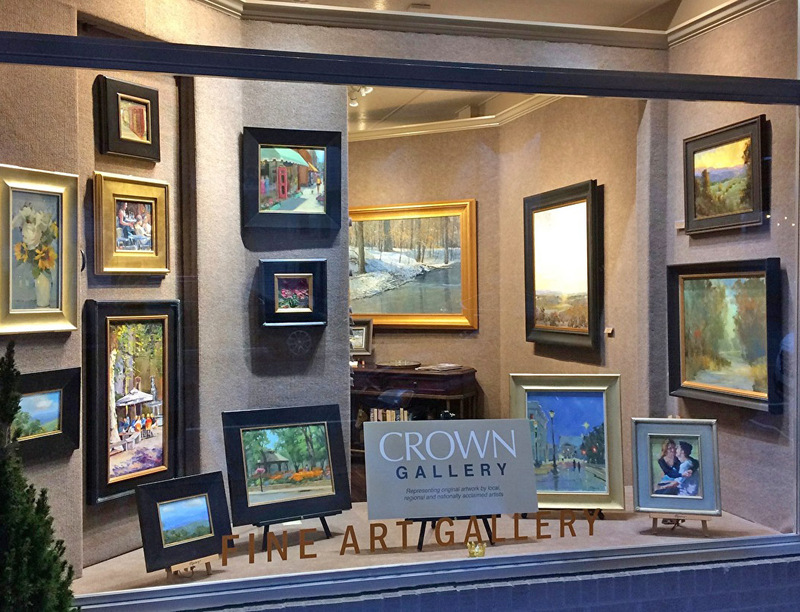 Crown Gallery features original fine art in a friendly, relaxed setting. 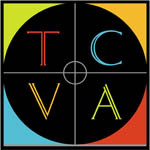 Discover traditional to contemporary works in a variety of subject matter by regional & nationally acclaimed artists. Check website for current seasonal hours. 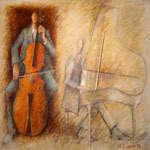 Gallery C brings talented artists and fine art to the attention of serious private collectors and museums. Since 1985, Gallery C has established itself as one of the Southeast’s leading fine art galleries in Raleigh, NC. Local area artists feature their fine arts and crafts in this unique cooperative gallery located on Main Street across from the Blowing Rock post office. Enjoy pottery, jewelry, fiber art, basketry, photography, paintings, woodworking, and other traditional and contemporary hand crafted art. Open every day 10am-6pm. The Martin House Gallery is a new innovative gallery nestled in the Blue Ridge Mountains of North Carolina, surrounded and inspired by natural beauty and a wide range of mountains and landscapes. We showcase work from artists around the country as well as local artists throughout North Carolina who are inspired and passionate about creating work. In our gallery you'll find one of a kind original artwork from realistic oil paintings to abstract and contemporary work in a variety of mediums. Please come and visit the the quaint storybook town of Blowing Rock, NC and find yourself in a new, exciting gallery. Photos by Meta is an Online Photography Gallery featuring Nature and Macro Photography of Western North Carolina by Macro Photographer, Meta Gatschenberger, RN. Framed Photos are for sale in Blowing Rock at Rustic and the Foley Center at Chestnut Ridge. Bolick & Traditions Pottery is a family of potters that have been in Blowing Rock for more than 40 years. Original Owens Pottery, another family member, is also featured. In addition to handmade pottery, the shop offers Christian gifts, & unique fashion accessories including handbags, and jewelry. Historic farmhouse in Valle Crucis, on National Register of Historic Places. 15 minutes from Blowing Rock and Boone. In our 27th year. Local art in oil and watercolor. Prints, giclees on canvas. 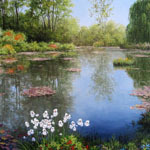 Area's largest selection of landscapes. Over 100 artists, including Joan Sporn, Jean Baird, and folk artist Will Moses (heir to Grandma Moses). Gifts: art tiles, pottery, jewelry, kaleidoscopes. Historic property -- with porch-rockers and a view! Between Mast Inn and Mast Store Annex. A unique, thoughtful, and trendy collection of arts and crafts made in the USA. Family-friendly with a fun collection of items just for kids. Gifts from the heart and the hand, it's what you'd do, if you had the time.